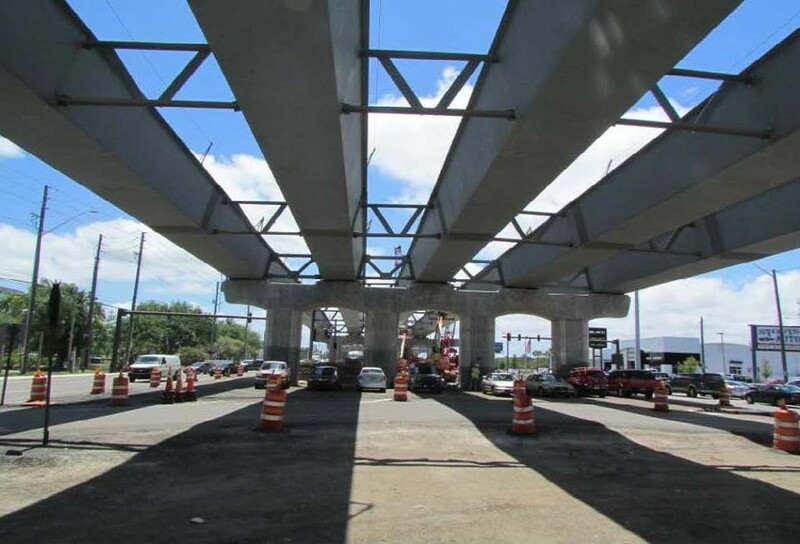 This project involves the reconstruction of US 19 to a six-lane limited access divided highway with two-lane one-way frontage roads on each side. A complex traffic control plan was required to maintain traffic during staged construction of the new bridges. The first three spans of the mainline bridge utilize FUB-72 beams and the last three spans utilize a three-span continuous steel box girder section, resulting in a total bridge length of 1,015 feet. The substructure consists of rigid frame piers with an inverted tee cap at the point of minimum vertical clearance. All of the piers are founded on 24-inch prestressed concrete piles. 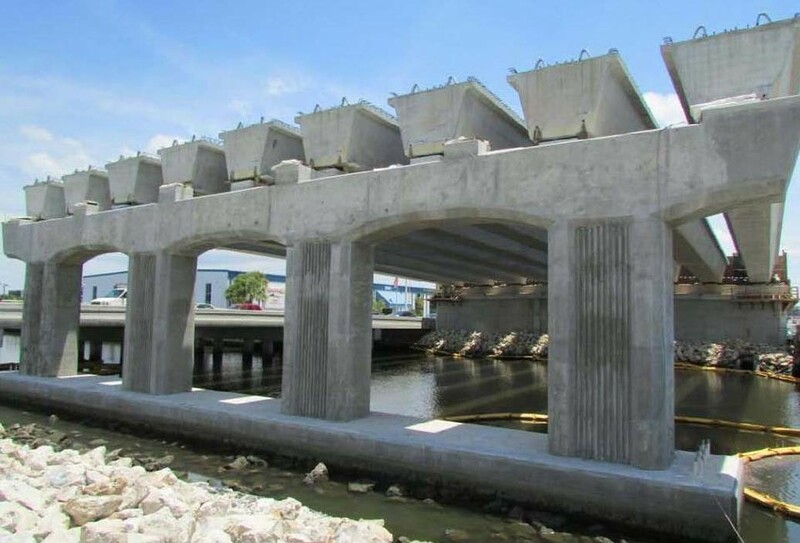 The frontage road bridges utilize prestressed deck panels with a cast-in-place concrete topping.